Regent Samsic is accredited to a wide range of professional bodies advising and monitoring best practice in relation to health and safety, training, quality assurance, environmental management and more. Regent Samsic are registered with Alcumus ISOQAR as a certified organisation for OHSAS 18001, an internationally recognised standard for Occupational Health and Safety Management Systems. Regent Samsic are registered with Alcumus ISOQAR as a certified organisation for ISO 14001, the standard for Environmental Management Systems. Regent Samsic are registered with Alcumus ISOQAR as a certified organisation for ISO 9001. We are RoSPA Gold Award holders for both Cleaning and Security operations in recognition of our commitment to accident and ill health prevention as well as our health and safety management systems. Our Security operation is a principal member of the British Security Industry Association. 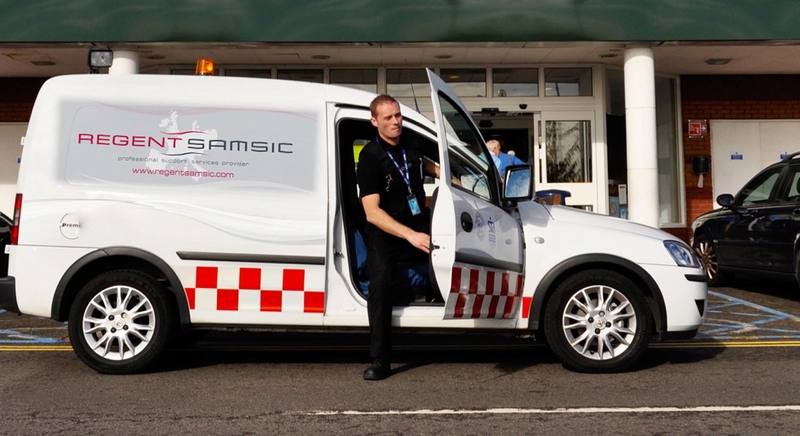 Regent Office Care Ltd t/a Regent Samsic currently holds SIA Approved Contractor Scheme (ACS) status for the provision of Security Guarding and Key Holding services. Regent Samsic are proud to be a Recognised Service Provider of the Living Wage Foundation. Regent Office Care Ltd t/a Regent Samsic is a Rated Supplier on the Chartered Institute of Purchasing and Supply (CIPS) Sustainability Index (CSI).